We recognise that our young people transition through a crucial period in their lives. Bombarded by new ways of thinking, media, and a host of other things the reality is that their is probably no single thing in church youth work which can guarantee a safe passage through the maze! Therefore we prefer to understand our youth work as a portfolio, with different activities and approaches working together. Our prayer and desire is that we can encourage young people to lifelong discipleship and service of Jesus Christ. We therefore engage our young people in different ways, which can include a chance to chat and consider a topic on a Sunday morning, meeting in a home context monthly for fun & thought, pizza nights and other socials, going on trips and activities (e.g. to Soul Survivor), as well as supporting other youth initiatives in the city (e.g. Profusion). These elements can vary, depending on demand, resources, and how things pan out! 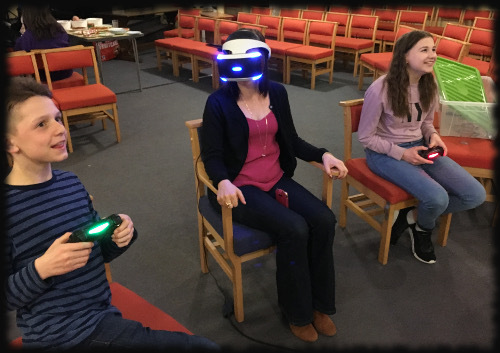 Our young people are also actively encouraged to serve and participate in church life. Including taking part in our worship gatherings, and diverse opportunities to serve both on a Sunday and mid-week. The annual Holiday Club is an excellent opportunity to help out creatively. A third aspect is an informal mentoring scheme. Each young person who wants it can have an adult assigned who generally looks out for them, invites them out for hot chocolate or round for tea from time to time. This enables chat with someone different about whatever they need to, and provides another route for prayer support. Ultimately for each young person this is about a spiritual transformation. We hope and pray that each person has a radical encounter with Jesus, and can grow to see for themselves that faith in Jesus is real and makes a difference in lives. These are key ingredients for any young person to emerge from whatever faith they may have inherited from their family to a living faith that they own for themselves.